So lately on my blog I've been talking a lot about skin care and sharing basic tips with you all that would improve the skin. It is important to have a consistent skincare routine. Our skin is the most important element to our body. It is the shell and the first thing that people see. How we treat our skin and our over all body is important. Not only should we have a regular routine with what we use to treat and care for our skin but what we put into our bodies is just as important because it reflects on the skin and how it looks. So I want to share a tip with you all that I've been doing regularly and have been seeing minor results with the clarity and texture of my skin. I hope that this inspires and help someone that may want to see improvements on their skin or may be struggling and need advice. I will keep it 100! I don't eat much but when I do it's for the most part healthy but I have a sugar problem. I'm working on transitioning out of this need for sugar by substituting candy with natural fruit snacks or just fruit. This will make a world of a difference on my skin. With this weather going in and out it's even the more important to care and manage the skin better because it's easy to get out of control and because of the up and down weather we tend to have more issues with they skin whether it may be drying of the skin, out breaks or more. STEP 2: Apply your moisturizer of choice. Remember apply moisturizer! Not Vaseline, not lotion but a moisturizer that's specifically made for the skin on the face. 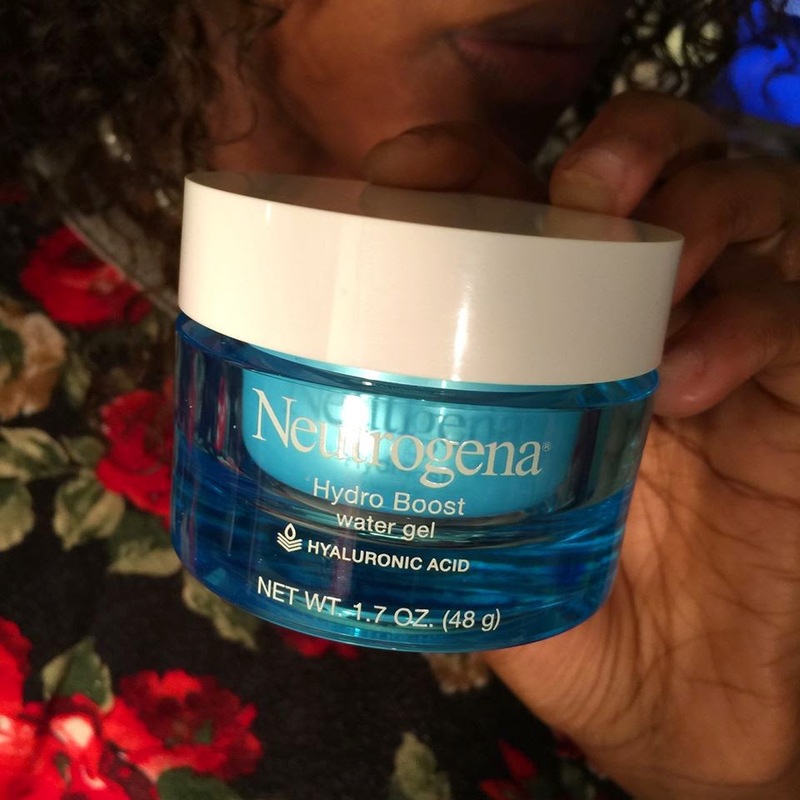 Mines has been the Neutrogena Hydro Boost Water Gel moisturizer for every day use because it penetrates into the skin faster. STEP 3: Take a cold press towel apply on face to close the pores. Then if you want to apply oil to seal the moisture in then that is fine. This will help lock in the moisture improving on elasticity of skin, this help you maintain your youthfulness. Also the moisturizer will penetrate faster this way. Great tips!! I love Neutrogena products! Well thank God for those good genes because it could be worse lol. Just imagine how your skin will feel and look when you consistently develop a healthy skincare regimen. The hot towel on the face part is the BEST part! It is heather! Not only does it opens the poors but it stimilates blood flow. That when you really start to see results. Thank you for stopping by :D Truly appreciate it. awesome tips - thank you! I really need to get myself into a routine ... asap. The sooner the better! =D Thank you for stopping by Jo-Anne!